Amazon has obtained approval on a new patent from the US Patent and Trademark Office for a delivery drone that can respond to human gestures and voices on Tuesday. 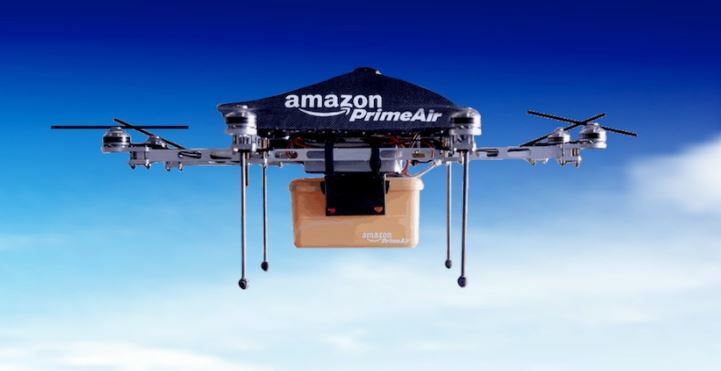 The patent, filed in July 2016 and published recently, is in line with the company’s goal to maintain a fleet of unmanned aerial vehicles that will rapidly deliver packages in 30 minutes or less. Through visual cues, voice commands, and a person’s gestures, the drone can establish its flight path, release the package, or ask humans about the delivery. The document included several illustrations of the design, one of which shows the delivery drone and a man outside his home. He was wildly flailing his arms in what Amazon called an “unwelcoming manner,” a gesture as if to shoo away the drone overhead. A blank voice bubble suggests possible voice commands for the drone. A diagram of the drone’s communication system includes speakers and microphones, as well as navigation components like depth sensors and cameras to detect visible, infrared, and ultraviolet light. Through its array of sensors, the delivery drone would recognize audible and visible gestures and react accordingly. The patent also detailed the steps a drone would take when it reads body language—thanks to its human gestures database—as it delivers the package. Once it’s clear to deliver, the drone releases the parcels from the air or lands on a certain spot to place the package. It would be able to verify the recipient’s identity via an app, speech recognition, or remote operator. Moreover, the delivery drone can add new movements to its database to improve the accuracy of its gesture-recognition system. “In some examples, when in the learning context, a human operator may interact with the UAV in order to ‘teach’ the UAV how to react given certain gestures, circumstances, and the like,” the patent stated. The eCommerce giant has declined to comment on the gesture-recognition concept, but this isn’t the first time that Amazon has applied for something this ambitious. Since announcing plans to design an air delivery service, the company filed patents for mobile flying warehouses by using airships and self-destructing drones.